Everyone who has some knowledge of comic books will know about superhero teams such as the Avengers and the Justice League, a ragtag group of individuals who all contain secret abilities that make them all as unique as the other. Well as it happens they're in the business of finding a new member, the ideal candidate will be someone who is quick on their feet and has the reflexes of at-least 3 tigers combined. What they are looking for is a partner who can win them some rather cheeky cash prizes on a series of reels, reels that possess rather super-villain like qualities, so, are you up for the challenge? They kind of need an answer quickly, there is a few other applicants. 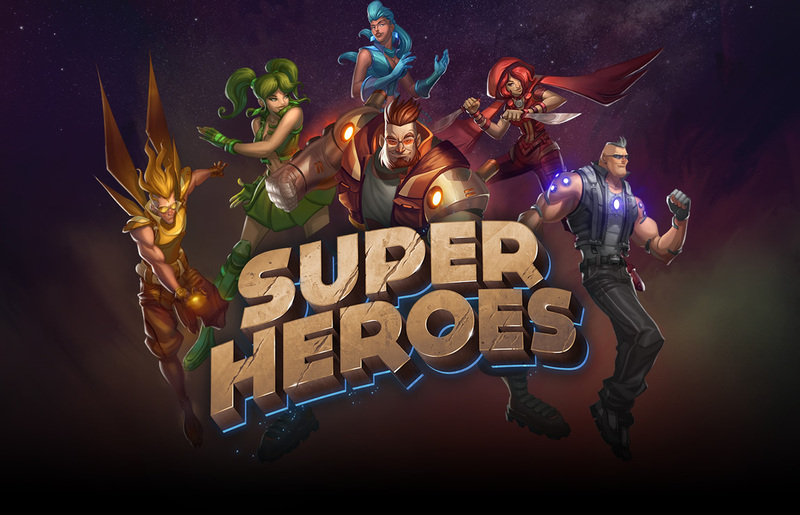 Expect wilds, scatters, free spins, as well as a litany of other features in this appropriately titled slot: Super Heroes. join & spin now! Fredrik is the former NetEnt CEO which is a massive name in the online slot industry. Well, what if we told you that the man behind NetEnt, is now the founder of the Malta-based developer: Yggdrasil. Forming in 2013 Yggdrasil has taken many chances since their inception, often coming up with home run after home run, the sky is always the limit for these guys, and that is reason alone to play out some of their titles for yourself. Come and discover more of these. join & play here! First and foremost the graphics that are at play here are very bold and bright, which is perfect when you think about how bold and bright these superhero symbols are compared to the night sky background that can be found behind the reels. 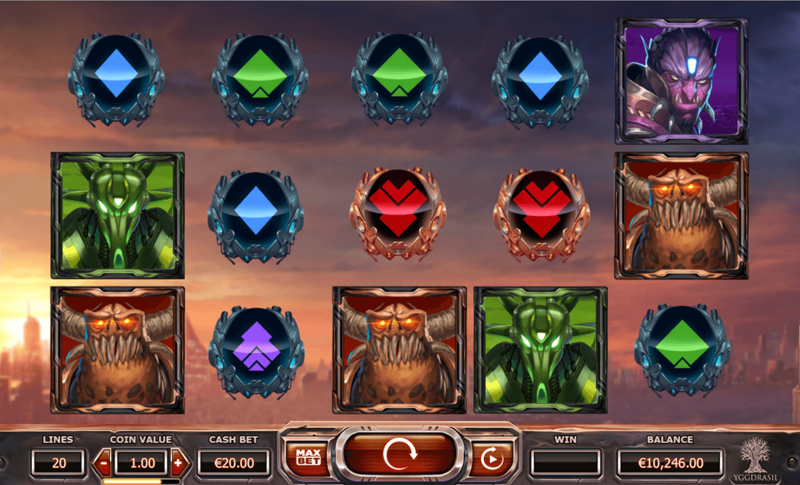 Super Heroes is a 5 reel slot over 3 rows, played across 20 pay-lines that is orientated from left to right. There are 8 symbols at play here, all of which have a different numerical value based on the symbol itself and the number of symbols involved in the winning pay-line. There are 4 villain symbols and 4 hero symbols for players to choose from. There is also a couple of low-value symbols that take the shape of playing card symbols. There are a few surprises in terms of symbols should players find themselves in the free games feature. Each of those heroes will perform different animations when matched in a winning pay-line. 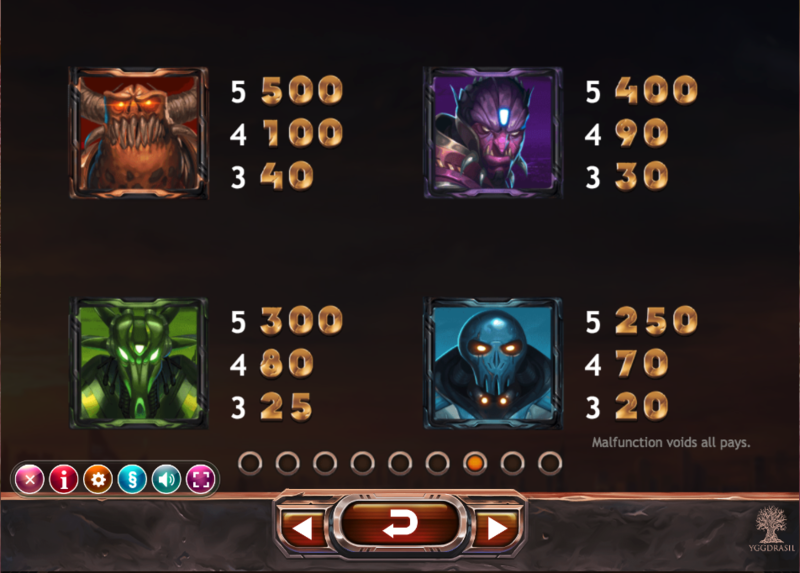 On-top-of wilds, scatters and free spins, there is also a hero mode that is unlocked via the matching of the bonus symbol. In this mode, there is the potential for even higher scores depending on the skill and determination of the player. What Super Heroes possesses is a level of immersion that most slots seem to fail on. The characters in this slot do an excellent job in creating a theme that could quite easily roll into a sequel if developers Yggdrasil wanted. The features that are on show here are only elevated from the theme itself. Without the hero aspect, this would just be another slot, we are happy to report that isn’t the case. Play now. 8/10.